Cheap unique gift ideas can sometimes be a bit tricky to find. After all, you want to give a gift that is amazing and thoughtful, without going bankrupt in the process. Just because you need to stay within a gift-buying budget, it doesn’t mean your gifts have to look cheap. Cheap unique gifts are relatively inexpensive in terms of money but they are certainly not cheap in terms of their value. 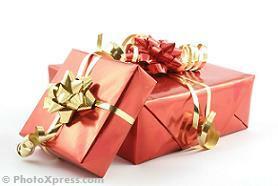 In fact, most people view a gift without attaching a price tag to it. They consider what it means, the care that went into selecting it and who gave it to them. Some of the "best ever" gifts are not about it monetary value. Instead, they reflect the thoughtfulness and time spent on searching for and selecting the gift. Good cheap birthday present ideas for a woman are something she will use but wouldn't think of buying for herself. If you’re looking for some unique inexpensive gifts for a man just use the same philosophy. Men like practical, useful items. They do not like to shop and will use something until it is falling apart before buying something new. While you might be able to find those cheap unique gifts at the mall, you can also get creative with your shopping. If money is really tight, don’t be afraid to hit the thrift store or Saturday garage sales. It is not uncommon to find brand new, price-tag-still-on, all manner of gifts for less than $5 at a yard or garage sale. Then again, if running around shopping won’t fit into your schedule… Go online.Lucky for you, many unique inexpensive gifts are available online providing an endless variety of ways to say - "I care". Whatever theme or message you want your gift to express, you can be sure to find the right kind of cheap unique gift ideas at Great-Unique-Gifts.com. Photo Collage Gift - Photo collage is a great cheap unique gift idea. It's inexpensive - all you need to buy is a nice frame. It's easy to make and most of the times it will be very special to the recipient. Oops - almost forgot - it's really fun to make too because there are so many ways you can play with it. In fact, you can make collage gifts to all the people on your list and still give each one a unique and personal gift. Great inexpensive Christmas gifts to make – You are just a click away from fun, easy and really inexpensive Christmas gifts to make for your family and friends. Believe me – If I can make them so can you!!! Each of them is really simple to put together. Enjoy! Cheap Holiday Gifts - Cheap gift ideas and tips for frugal shopping. Plan in advance, buy cool gifts and have a wonderful holiday without exceeding your family budget. Personalized Photo Book Album - I love to make photo books as gifts. They are fun to make and they are inexpensive. I get to be creative and enjoy while making them and my recipients receive a wonderful gift. It is a win-win :-). Do you have more cheap unique gift ideas? Click here and share them with us!